More Than Coffee, It's a Craft. We sell, lease, service and supply the best coffee and espresso making equipment on the market. A healthy machine will consistently produce great tasting coffee, assuring the quality and reliability your customers can count on. Your espresso machine is an expensive investment. We guarantee the ability to produce the finest espresso and cappuccino. Our maintenance program provides a comprehensive 30 point inspection of your machine. 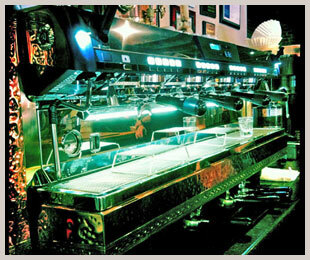 Through our many years of experience we are able to provide service for most makes and models of espresso machines. We also support most makes of automatic drip machines! 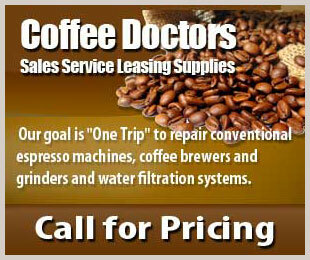 Coffee Doctors, Inc. has been in the coffee and espresso equipment repair business since 1990. Our highly trained and certified technicians service a broad range of commercial coffee equipment. Our goal is "One Trip" to repair commercial espresso machines, coffee brewers and grinders and water filtration systems. Besides expert coffee machine repair services for commercial espresso equipment and espresso machine parts, every Coffee Doctor technician is knowledgable about all types of coffee - where it orgininates from, roasting, grinding, preparing and serving - so that not only is your coffee machine repaired right the first time, but that the coffee it makes is perfect. Our goal is a great cup of coffee and the final test is a satisfied customer! 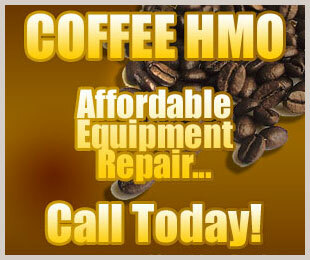 Our highly trained and certified technicians service a broad range of commercial coffee equipment. Our goal is "One Trip" to repair commercial espresso machines, coffee brewers and grinders and water filtration systems. Our goal is "One Trip" to repair commercial espresso machines, coffee brewers and grinders and water filtration systems. © 2016 Coffee Doctors, Inc All Rights Reserved.